VATICAN CITY (CNS) — There is no such thing as a soul that is lost forever, only people who are waiting to be found, Pope Francis said. God is not part of humanity’s “throwaway culture” and does not shut out the sinner and those most in need, the pope said May 4 during his weekly general audience. Because of his immense love for everyone, God takes the illogical step of leaving his faithful flock behind in the harsh desert to seek out the one who has gone missing, he told those gathered in St. Peter’s Square. The pope reflected on the Gospel parable of the good shepherd, which, he said, reflects Jesus’ concern for sinners and God’s commitment to never give up on anyone. Jesus uses the parable to explain how “his closeness to sinners must not scandalize, but, on the contrary, encourage everyone to seriously reflect on how we live our faith,” the pope said. The parable, he said, responds to the doctors of the law and the Pharisees, who “were proud, arrogant, believed themselves just,” and, therefore, became suspicious or shocked seeing Jesus welcome and eat with sinners. The query, the pope said, introduces a paradox that questions how smart this shepherd could be when he abandons his precious flock, not in a safe pen, but in the dangerous desert just for one sheep. “We are all forewarned — mercy toward sinners is the way God works” and “nothing and no one will be able to take away his will of salvation” for all of humanity, the pope said. The parable shows how everything depends on the shepherd and his willingness to look for the lost ones. 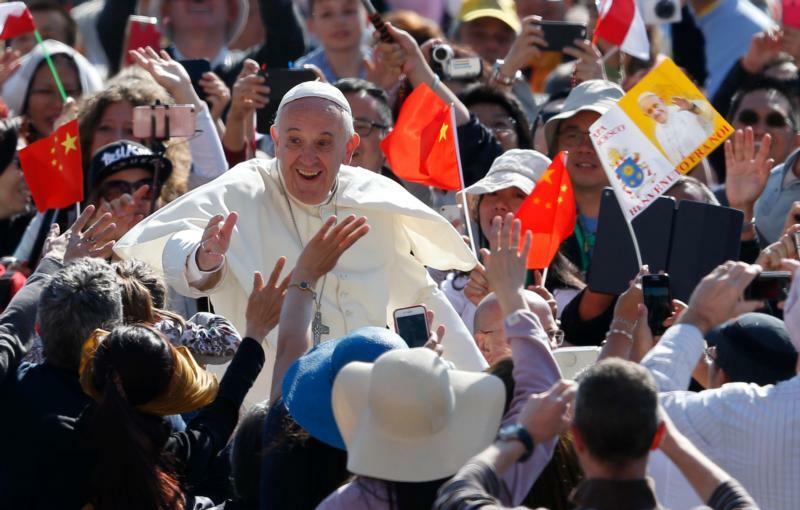 But it also tells the faithful flock that they will always be on the move, that they “do not possess the Lord, they cannot fool themselves keeping him imprisoned in our mindset and game plans,” Pope Francis said. “The shepherd will be found where the lost sheep is,” he said, and it is up to the flock to follow the shepherd’s same journey of mercy so all 100 may be reunited again and rejoice. The church needs to reflect often on the parable of the lost sheep, he said, because there is always someone who has strayed from the fold. Christians must understand that in Jesus’ eyes, no one is ever lost for good; there “are only sheep that must be found.” God waits up until the very end, like he did for the good thief, who repented before he died on the cross next to Jesus, the pope said. No distance is too far to keep the shepherd away, and “no flock can give up on a brother” because the joy of finding what was lost belongs both to the faithful and the shepherd, he said. “We are all sheep who have been found again and welcomed by the Lord’s mercy, called to gather the whole flock together with him,” Pope Francis said.